Thomas, who turned 29 last month, is entering the final season of his current four-year, $40 million contract. 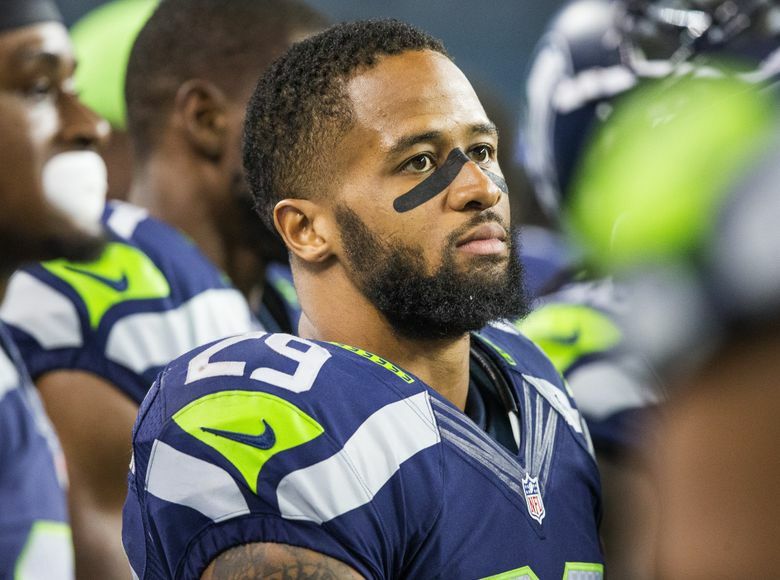 Consider Seahawks free safety Earl Thomas officially a holdout. Thomas tweeted Sunday that he will not attend the Seahawks’ minicamp this week or any other team activities “until my contract situation is resolved.” Thomas is entering the final season of a four-year, $40 million contract and wants an extension and raise. Thomas has not attended the team’s offseason program. But everything thus far has been voluntary, and players cannot be fined or punished for not attending. Players, however, can be punished for not attending minicamp, which is mandatory, and Thomas could be fined up to $84,435 (teams do not have to fine players but can under the league’s collective-bargaining agreement. Players can be fined up to $14,070 for missing the first day, $28,150 for the second day and $42,215 for the third day). Thomas could also be fined if he were to hold out from training camp, which is expected to begin around July 26. He also would be fined 1/17th of his base salary for every game missed. Thomas has a base salary of $8.5 million this season and counts for $10.4 million against the salary cap when including a pro-rated share of his bonus. Seahawks coach Pete Carroll said Thursday that he expected Thomas and others who did not attend OTAs (organized team activities) — cornerback Byron Maxwell and defensive end Frank Clark — to show up for minicamp. The first minicamp workout is Tuesday at the team facility in Renton. Seahawks general manager John Schneider said in April that Thomas’ representatives had told the team that Thomas would not hold out. But Thomas said in an ESPN interview in January that he would consider holding out if he didn’t have a new deal, and he is making good on that threat. This would be the first contract holdout for Seattle since 2015 when strong safety Kam Chancellor held out through training camp and missed the first two games of the season before returning without a new contract. Schneider said he talked with Thomas’ representatives (Thomas’ agent is Davud Mulugheta, whose clients also include Seahawks middle linebacker Bobby Wagner) at the NFL combine. But Schneider said in April that the two sides had not spoken since then. That means the Seahawks have apparently told Thomas what it would consider offering him — or at least, the framework of where the team stands right now — but have not budged. Thomas’ statement Sunday makes it clear he’s not willing to wait things out. It’s unclear what the Seahawks have offered and what Thomas wants. But Thomas likely wants a contract that would at least match the $13 million annual salary for Eric Berry of the Kansas City Chiefs, the most for any safety in the NFL. The Seahawks, meanwhile, are coming off an offseason in which they have shedded the contracts of some big-name players, releasing cornerback Richard Sherman and trading defensive end Michael Bennett. They appear hesitant to give a long-term, big-money deal to Thomas as he nears 30 — he turned 29 on May 7. Thomas has been named to the Pro Bowl six times in eight seasons and is unquestionably one of the best at his position in NFL history. But he also has missed seven games due to injury the past two seasons after having not missed any in his first six. He started 107 consecutive games, the most of any defensive player in team history, before suffering a hamstring injury late in the 2016 season. He later suffered a broken leg that kept him out for the rest of the season. He sat out two games at midseason last year because of a hamstring issue. The contract uncertainty led the Seahawks to consider trading Thomas in the offseason. But it’s thought that the most they were offered was a third-round pick by Dallas, and they decided to keep Thomas. They appear willing to let Thomas play out his contract and hope something can be worked out while also content to potentially receive a third-round draft pick via as compensation if Thomas signs elsewhere as an unrestricted free agent following the 2018 season. The Seahawks also can place a franchise tag on Thomas. But they have not used a tag since 2010, and that seems an unlikely option — the franchise tag number for safeties in 2018 was $11.287 million and will be higher in 2019. Following the Seahawks’ last game of the 2017 season, a 26-24 loss to the Arizona Cardinals, Thomas was asked if he expected to be back in 2018. Thomas’ absence from OTAs has meant the Seahawks are without any of the original starting members of the team’s Legion of Boom secondary — Brandon Browner, Kam Chancellor, Sherman and Thomas. Chancellor remains sidelined due to a neck/nerve issue suffered Nov. 9 at Arizona. He is expected to have additional tests soon that will help determine his football future. But the conventional wisdom is that he has likely played his final NFL game. Browner was released by the team in 2016 after a brief return, Sherman signed with the San Francisco 49ers, and Thomas in limbo. Without Thomas and Chancellor, the Seahawks have been going with a starting safety duo in OTAs of Bradley McDougald (free) and Delano Hill (strong). Seattle made an aggressive move to re-up McDougald before free agency, signing him to a three-year, $13.5 million deal. 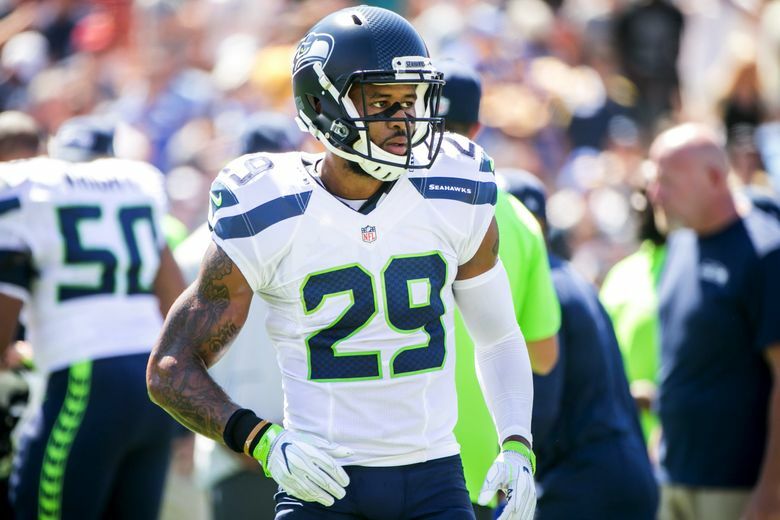 Seattle also signed former Rams starting strong safety Maurice Alexander as a free agent after drafting Hill in the third round and safety Tedric Thompson in the fourth round in 2017. Thomas signed his current deal in April 2014 — roughly three months following the Super Bowl win over Denver — as part of the team’s quest at that time to keep what it considered its “core players” intact. At that time, and for the next few years, the Seahawks had a general strategy of giving extensions to its “core players” before they entered the final season of their contract. But Schneider said at the NFL combine this year that that policy does not apply to players entering a third contract, as would be the case with Thomas, who was the second player drafted by the Schneider/Pete Carroll regime in 2010, taken with the 14th overall pick in the first round in 2010 out of Texas. The Seahawks have signed several veterans to third contracts the past few years, but all were to players whose careers either were finished or likely may be before they finished those deals — running back Marshawn Lynch, Bennett and Chancellor. And given the team’s offseason of retooling, Seattle doesn’t seem inclined to go big to keep Thomas around, which helped set the stage for his announcement Sunday. The Seahawks have $10.6 million in cap space for the 2018 season. But cap space isn’t considered the issue. The issue is how much of a long-term commitment they would want to make to Thomas as he enters his 30s. The Seahawks have loads of cap space for the 2019 and 2020 seasons — $65.9 million and $124.7 million, respectively, according to OvertheCap.com, making it easy to fit in a new contract for Thomas.